Darkest Hour © WORKING TITLE FILMS ALL RIGHTS RESERVED. 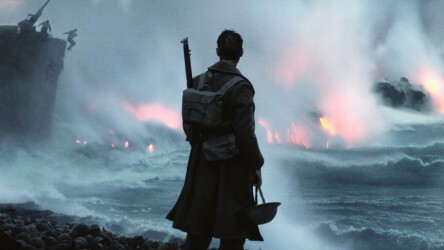 In 2007, British director Joe Wright staged an unforgettable five-minute unbroken tracking shot following an injured soldier wondering the beach of Dunkirk, tragedy unfolding around him, as part of his adaptation of Ian McEwan's Atonement. Now he has returned to this historical period with Darkest Hour, telling the story from another perspective, that of Prime Minister Winston Churchill. Played by legendary British actor Gary Oldman, barely recognisable under layers of prosthetic makeup, the film follows Churchill's sudden rise to power following the resignation of Neville Chamberlain, and his struggles to prevent Hitler's seemingly inevitable onslaught on British shores. 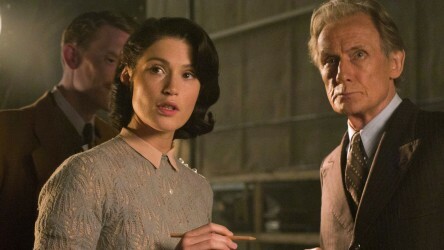 Darkest Hour is the third film in the past twelve months to deal with the events of Dunkirk, following Christopher Nolan's unforgettable epic, and the wonderful Their Finest, which told the story of a female scriptwriter tasked with producing scripts to boost national morale at a time of great need. The events also formed part of The King's Speech. But this is the first to tell the story from the corridors of power, taking audiences into the claustrophobic Cabinet War Rooms in Whitehall as decisions were made that would impact the country for generations to come. In the spring of 1940, the situation in Britain was desperate. Several months into the war, France was rapidly collapsing and Belgium, Denmark and Holland had all been defeated by the Germans. British forces stationed in France were surrounded and there was the real possibility that the French were about to make a peace with Germany. Nor could the British rely on the Americans for support. Popular opinion in the United States was against their getting involved in "Europe's war", and it was not until December 1941 and the Japanese attack on Pearl Harbor that this would change. Seen as too weak to lead the country, Prime Minister Neville Chamberlain resigned, wishing Viscount Halifax to take his place, but having to compromise with Churchill, the only figure acceptable to all major political parties, despite the initial reservations of King George VI. It's hard to imagine today, but in 1940, many people in Britain saw the war as unwinnable and the situation hopeless, preferring the country to negotiate with Hitler. Why fight on, their argument went, when Britain faced an imminent incalculable loss to civilian life and a devastating impact on its economy and industry? Others, including Churchill, felt the country should never give up, no matter how small the odds of success seemed. These tensions make up a lot of the narrative in Darkest Hour, as clandestine meetings take place deep underground in war bunkers, with senior figures such as then Foreign Secretary Anthony Eden advocating for negotiations to take place with the aim of protecting what was left of the British Empire. Votes of no confidence were considered, which would have resulted in Churchill's removal from office to be replaced by Halifax. These sequences make a fascinating comparison with similarly staged scenes in Downfall, which examined the final days of Hitler's rule as he was trapped in his bunker. Meanwhile, hundreds of thousands of British soldiers were trapped on the beaches of Dunkirk, seemingly awaiting a disastrous fate. With production design by Sarah Greenwood, and taking inspiration from the real Cabinet War Rooms, these underground spaces are characters in their own right - a grey, imposing, maze-like area, where people never quite know where they are. Much of the rest of London is also shown in ways we might recognise, but not as we have seen it before. Buckingham Palace is drab and shabby, as is Downing Street, and the city itself is covered in an imposing fog, reflecting the mood and spirit of the country at the time. Filming also took place at the Houses of Parliament themselves, an extremely rare occurrence (the first film allowed access to shoot was Suffragette), resulting in some double takes from MPs as Oldman dressed as Churchill walked past them! 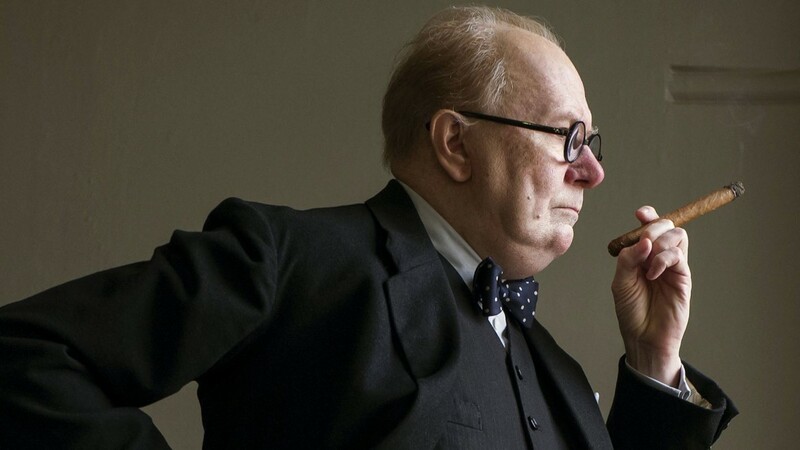 Darkest Hour also examines Churchill the man. Tactless and constantly holding a cigar and glass of brandy, he was regarded as an embarrassment by many of his peers. With a series of eccentricities, he was known to hold serious meetings on the telephone in the loo! He also often struggled with his mental health, being prone to serious bouts of depression, often referred to as his "black dog". We also see something of Churchill the writer. A prolific author, the film shows Winston agonising over the precise wordings of a piece of writing or speech, culminating in the remarkable "We shall fight them on the beaches" speech delivered to the Houses of Parliament. Finally, the film examines his relationship with his wife, Clementine, who remained forceful, yet devoted, whilst often finding him utterly exasperating; and a secretary, Elizabeth Layton who whilst often on the receiving end of the worst of his grumpiness was able to quietly influence his thinking in important matters. Both characters provide a welcome antidote to the overwhelming macho bravado on display elsewhere. Theatrically staged and featuring a host of compelling performances, Darkest Hour succeeds in bringing history to life, presenting what might be dusty, dry sequences in engaging and accessible fashion. It reveals something of the complex political situation of the time and encourages us to think about how easily things could have gone differently. But more than that, Darkest Hour is a tribute to the power of words and oratory, demonstrating in ways similar to films such as Milk and Selma that language is able to inspire people to fight for what they believe in and make the world a better place. Used effectively, it can have far more impact than any act of violence. Following the reaction to Oprah Winfrey's ‘Time's Up' speech at the 2018 Golden Globes, this is a lesson as important to our modern world as it was to the Britain of 1940. We take a look at Christopher Nolan's new WWII thriller Dunkirk, which educates on this historic event by placing the audience right in the middle of it. 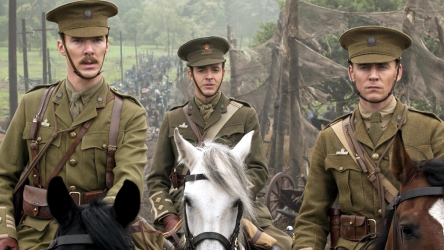 We explore how film can be used to teach young people about the far-reaching impact and effect that war and conflict can have, on both soldiers and civilians. 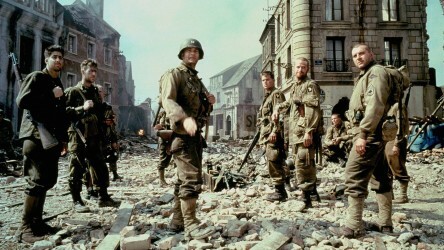 A collection of some of the most powerful and important films ever made about World War Two. A film guide that looks at Their Finest (2016), exploring its key topics and themes through informal discussion.